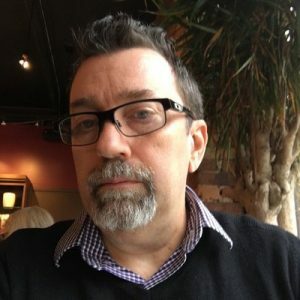 Chief technology officer and co-founder of Tango, Jeff “Cheezy” Morgan has been teaching classes and coaching teams on agile and lean techniques since early 2004. Most of his work has focused on the engineering practices used by developers and testers. For the past few years he has experienced great success and recognition for his work focused on Continuous Delivery. He has authored several popular Ruby gems used by software testers and is the author of the book, Cucumber & Cheese. This specific talk on Patterns Of Automation, I’m giving to you, because there’s a lot of things I’ve seen in working with dozens of teams out there. A lot of problems that I’ve seen with automation code and a lot of really good patterns that I’ve seen that help us structure our code in a great way. So, you’re going to see some coding. Yeah, you’re going to see me do some coding, mistakes and all. But, that’s okay. I don’t worry about that too much. So, what are these patterns? Well, these patterns are just things that I have seen, and others in the industry have seen, and observed that help us produce a higher quality product, and it’s something that we can talk about amongst ourselves. I can mention this pattern or that pattern, and if you’re familiar with it, you know exactly what I’m talking about.